Although nearly a thousand exoplanets have been detected indirectly, most using the radial velocity or transit methods, and many more candidates await confirmation, only a dozen exoplanets have been directly imaged. Nine years after ESO's Very Large Telescope captured the first image of an exoplanet, the planetary companion to the brown dwarf 2M1207 (eso0428), the same team has caught on camera what is probably the lightest of these objects so far. “Direct imaging of planets is an extremely challenging technique that requires the most advanced instruments, whether ground-based or in space,” says Julien Rameau (Institut de Planetologie et d'Astrophysique de Grenoble, France), first author of the paper announcing the discovery. “Only a few planets have been directly observed so far, making every single discovery an important milestone on the road to understanding giant planets and how they form.” In the new observations, the likely planet appears as a faint but clear dot close to the star HD 95086. A later observation also showed that it was slowly moving along with the star across the sky. This suggests that the object, which has been designated HD 95086 b, is in orbit around the star. Its brightness also indicates that it has a predicted mass of only four to five times that of Jupiter. The team used NACO, the adaptive optics instrument mounted on one of the 8.2-metre Unit Telescopes of ESO's Very Large Telescope (VLT). This instrument allows astronomers to remove most of the blurring effects of the atmosphere and obtain very sharp images. 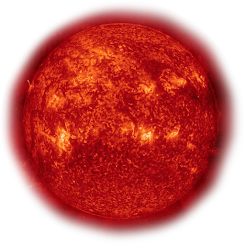 The observations were made using infrared light and a technique called differential imaging, which improves the contrast between the planet and dazzling host star. The newly discovered planet orbits the young star HD 95086 at a distance of around 56 times the distance from the Earth to the Sun, twice the Sun–Neptune distance. The star itself is a little more massive than the Sun and is surrounded by a debris disc. 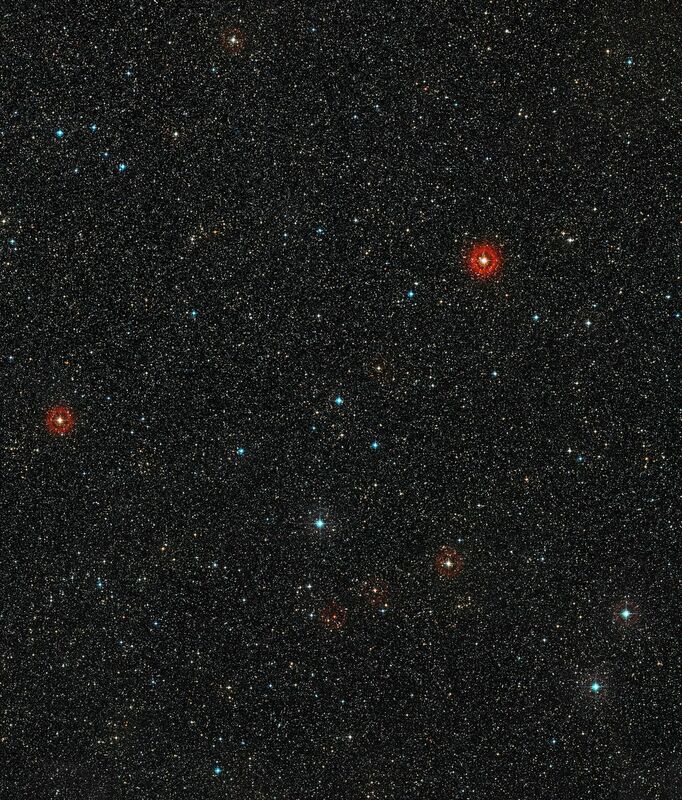 These properties allowed astronomers to identify it as an ideal candidate to harbour young massive planets.